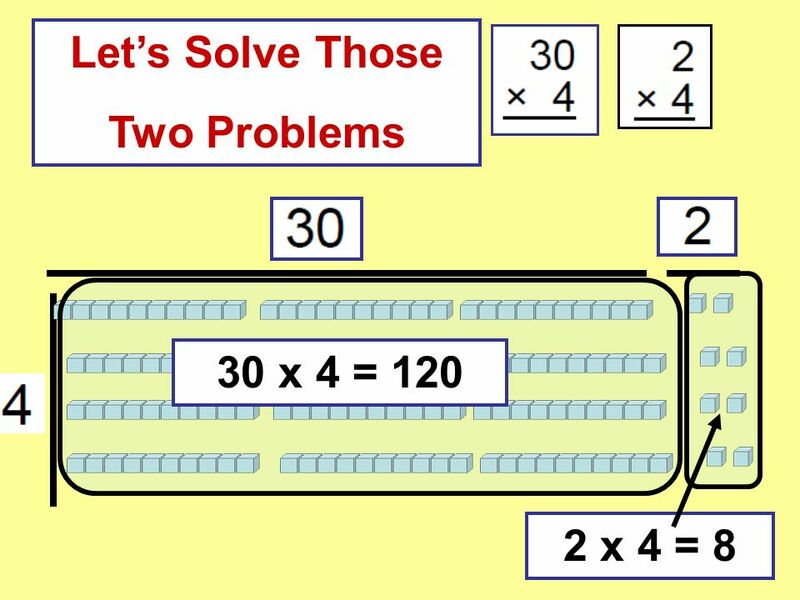 7 30 x 4 = 120 2 x 4 = 8 120 + 8 = 128 Add the two sums. 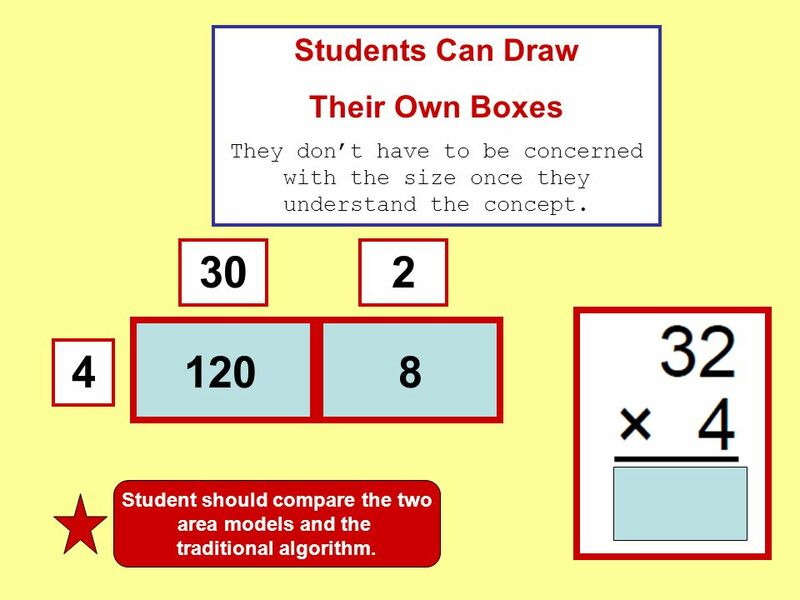 10 Students Can Draw Their Own Boxes They dont have to be concerned with the size once they understand the concept. 120 30 8 2 4 Student should compare the two area models and the traditional algorithm. 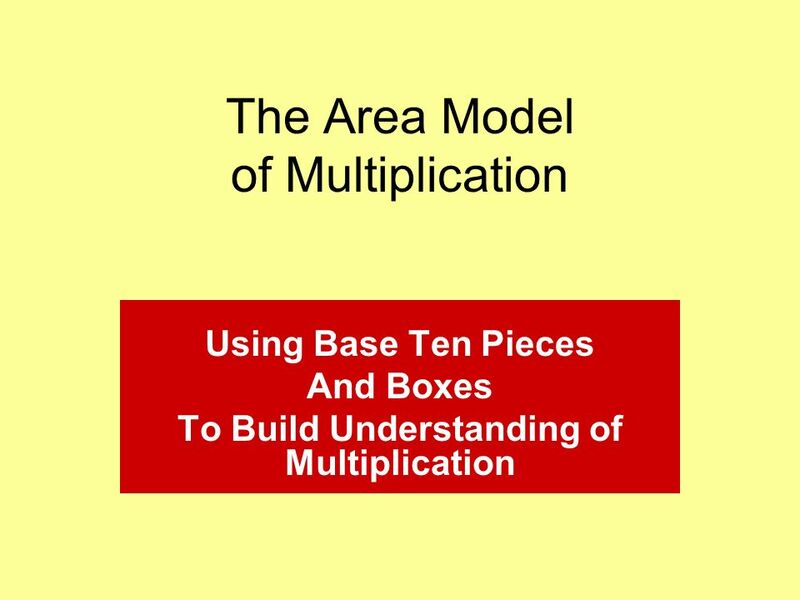 Download ppt "The Area Model of Multiplication Using Base Ten Pieces And Boxes To Build Understanding of Multiplication." Created by Jimmy Dodson If Amy had 3 cats and each one had 4 legs, how could we find how many legs all the cats had? 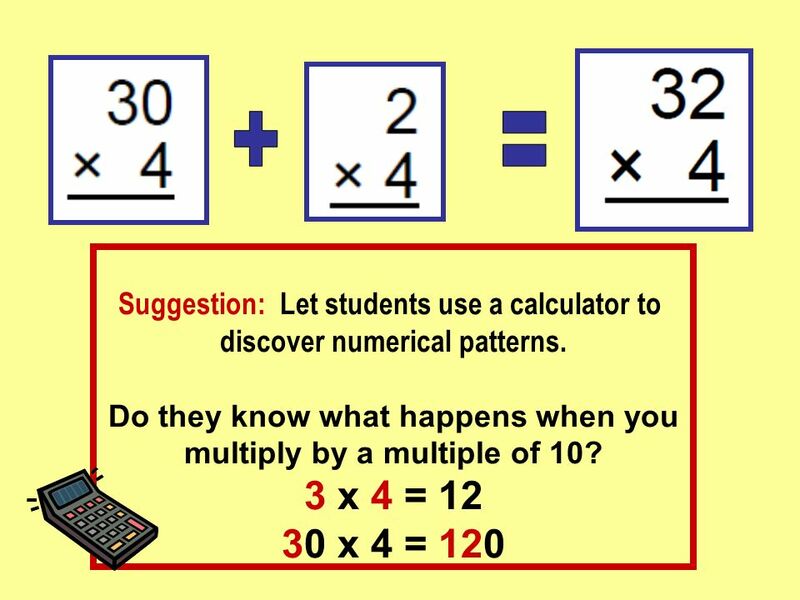 Uncover the mystery of factoring complex trinomials! You will need some paper! Patterns and sequences We often need to spot a pattern in order to predict what will happen next. In maths, the correct name for a pattern of numbers is. 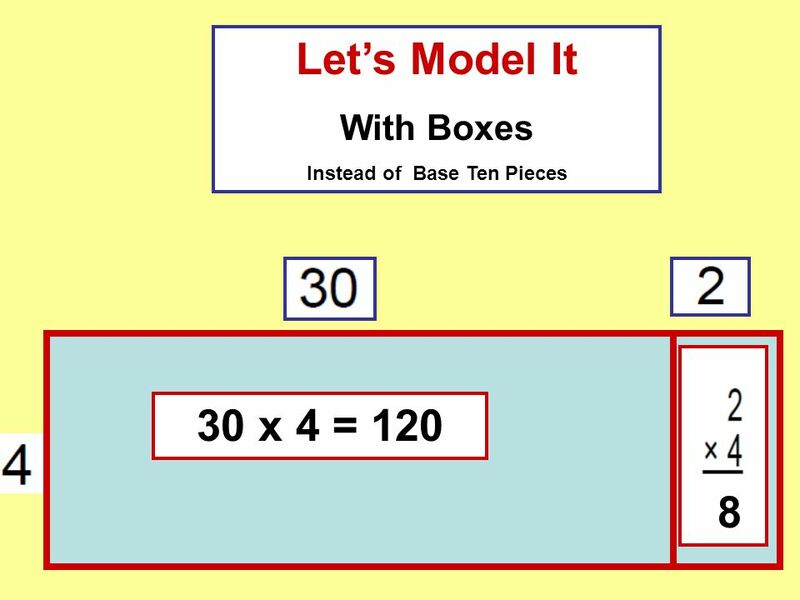 This slideshow is set up to demonstrate the partial product method. A detailed solution is offered for the traditional algorithm as well as the partial. Math Stuff. 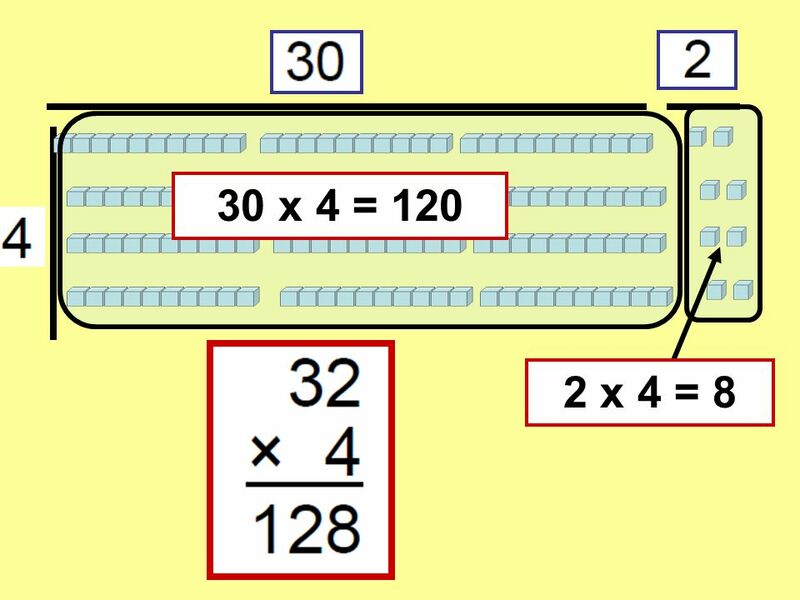 Multiplying 1 digit by 1 digit Multiplying is just taking 2 numbers. Ex: 2*5=___ You take 2 and write it down 5 times than add. So 2*5=10. 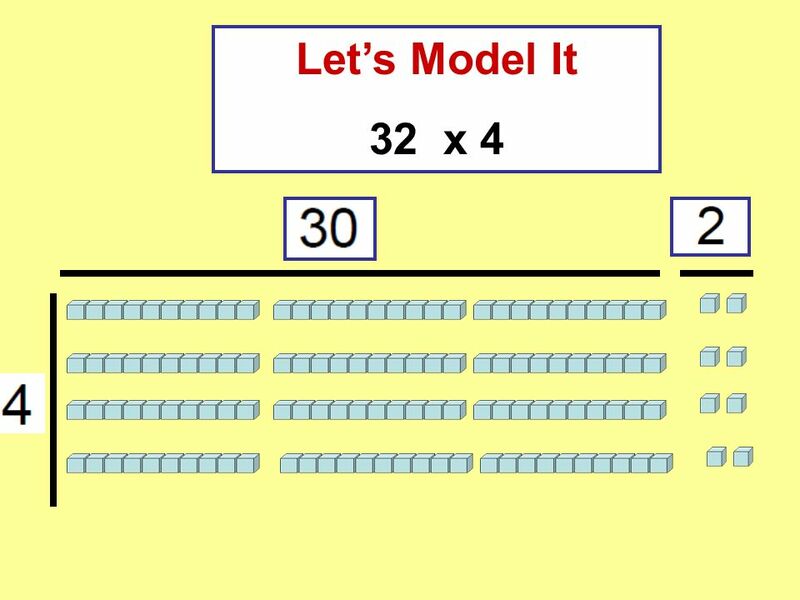 Lesson 2-3 Example Example 1 Use the Distributive Property and a model to find 6 ● Draw a model to show 6 ● 13. MODULE 5 Lesson 18. 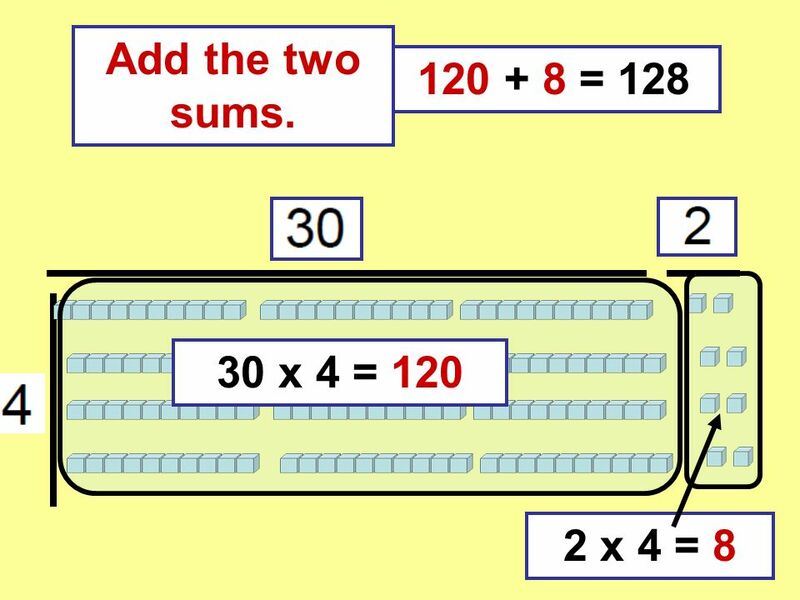 Objective Apply and explain alternate methods for subtracting from multiples of 100 and from numbers with zero in the tens place. 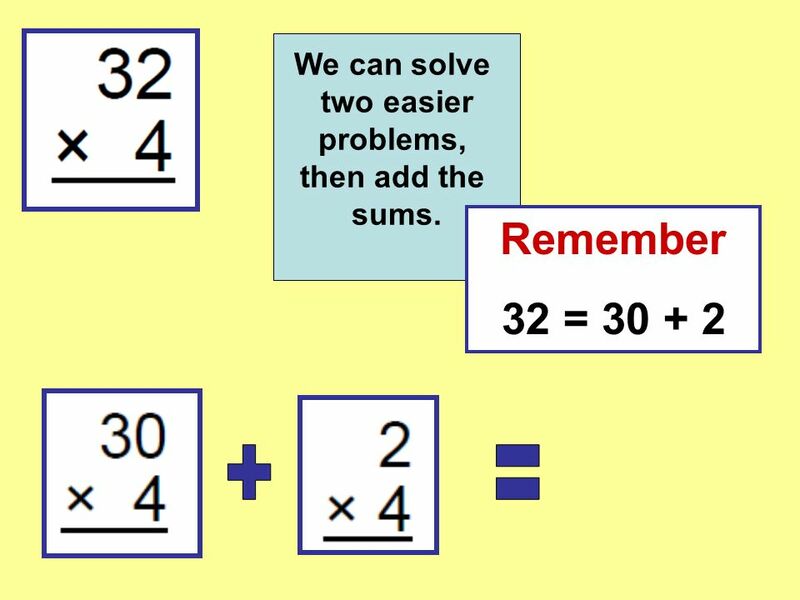 Partial Sums An Addition Algorithm. 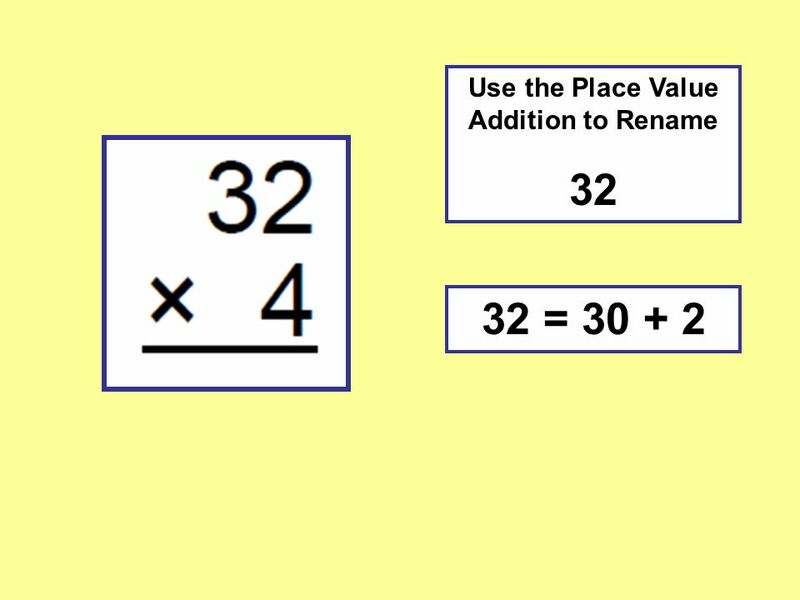 268+ 483 600 Add the hundreds ( 200 + 400) Add the tens (60 +80) 140 Add the ones (8 + 3) Add the place value sums.